L'Ile-Rousse (translation: red island) was founded by Pasquale Paoli in 1758, with the goal of creating a port that was not controlled by the Genoese. The site had already been inhabited since much earlier times, and was an active town by 1000 BC. 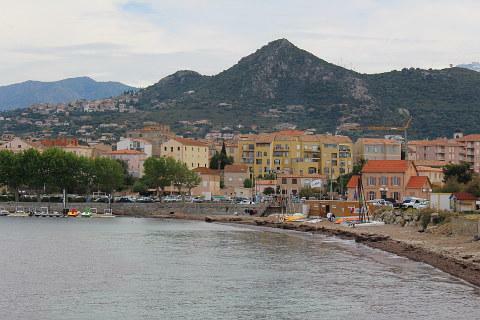 The town is found on the noth-west coast of Corsica, about 20 kilometres north-east of Calvi, at the northern edge of the Balagne region. 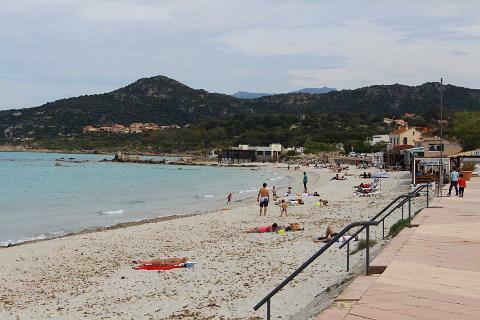 With a reasonable beach to the south at Plage de Rindara, and small rocky islands to the north, Ile-Rousse is in a splendid setting, which not surprisingly now attracts many visitors - tourism has surpassed the port as the key activity for the town. The architecture of the town, which includes some attractive buildings, largely dates from the late 18th and early 19th centuries. 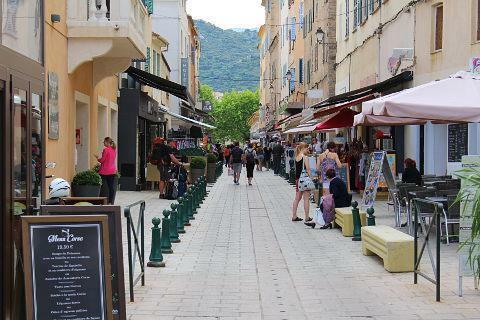 Perhaps less 'Corsican' than many towns in Corsica, L'Ile-Rousse has a planned layout of straight streets, lined with boutiques and restaurants. The centre of the town is at Place Paoli, where there is also a bust of the man himself (Pasquale paoli was the founder of independent Corsica). 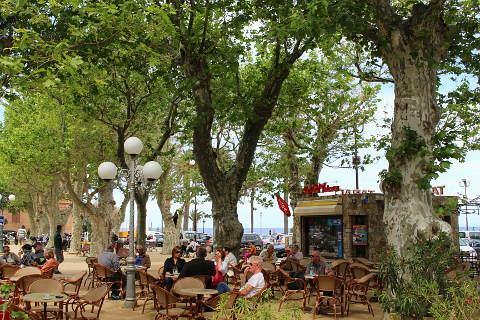 This square is open to the sea to the west, and also has a pleasant covered market. Offering shade under the plane trees, it is a good place from which to venture into both the old and new towns. It is the old town, with its paved streets and old houses that will be of most interest to the visitor, with a bustling atmosphere in the summer and lots of small shops and cafes. These narrow streets are pretty and pleasant to explore. There are two churches in the center of the town. The Church of the Immaculate Conception, although built in the 19th-20th centuries, contains two notable 17th century paintings. The covered market in the center, built in the style of an ancient temple on large columns, was in fact built in the middle of the 19th century. 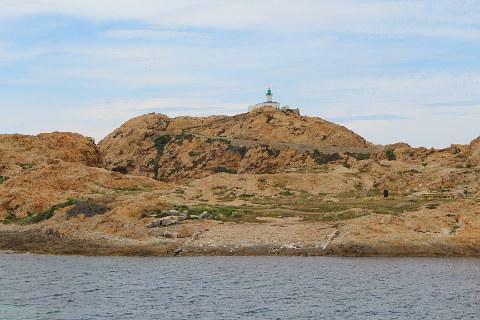 The best view across l'Ile Rousse is found by walking north a little way to the Ile de la Pietra, and on to the lighthouse. This is an easy walk as the Ile de la Pietra is not in fact an island but is joined to the town by a thin strip of land. The setting of the town against the red granite can be best appreciated from here at sunset, and there is also a Genoese watch tower. From here you can also get great views over the two small offshore islands. It is the colour of the rock of L'ile-Rousse and the islands that give the town its name. At sunset particularly the rock is a rich red colour. If you don't fancy a walk you can ride on the 'Petit Train' a little tourist 'train' which drives around the main sights of the town. The approach to the Ile de la Pietra is also where the ferries arrive and depart from and to Toulon, Marseille and Nice in France and Vado Ligure in Italy. 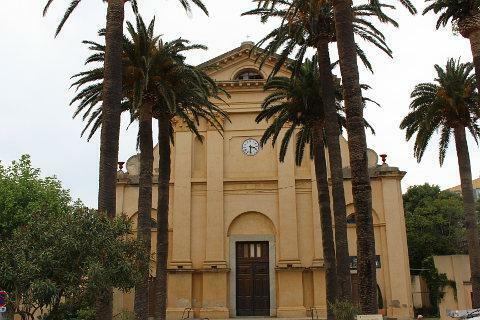 The Parc de Saleccia is a pleasant 7 hectare botanical garden to the north of the town - olive trees a speciality - in a beautiful coastal setting, planted with a wide range of beautiful plants, both Mediterranean and from elsewhere. The most popular car excursion from L'Ile'Rousse heads towards Monticello and on to Santa-Reparata-di-Balagna, two pretty villages set in the hills behind the town - the road between the two especially has very good views. 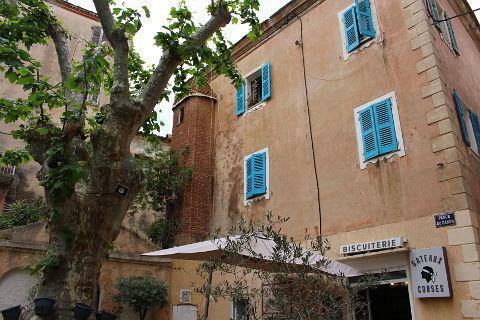 Be sure to visit the "most beautiful village" of Sant'Antonino, a charming hilltop village near to L'ile-Rousse.